Stored in an airtight container in a cool, dark place, flour will keep for months. Like any food, however, flour can go bad. 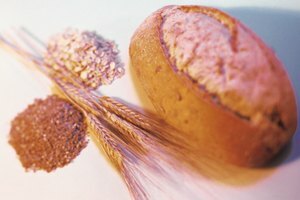 Flours with a higher fat content--such as whole grain flours--contain oils that can break down and go rancid over time. 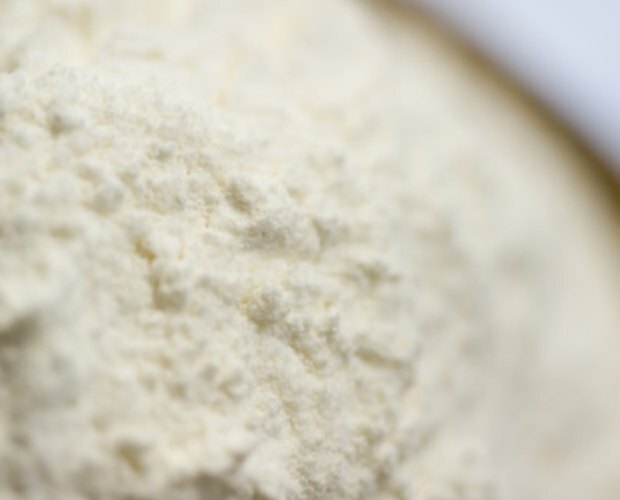 Rancid flour will have a sharp smell and sour taste and, while safe to handle, will adversely affect anything you bake with it. Luckily, there are a number of fun and handy uses for old flour rather than throwing it away. Mix 2 cups flour, 1/2 cup salt,1 tbsp vegetable oil, and just enough water to create a clay-like consistency, and your homemade playdough is ready. Note: Rancidity does not mean harmful bacteria is present, but that the oils and fats in the flour have broken down and turned sour. While safe to handle, children should not ingest the playdough. Mix 5 parts water to one part flour to create a glue. Works great for paper mâché. Mix 1 cup salt, 2 cups flour, and 1 cup water. Roll the mixture out to about 1/4 inch thick, then make your shapes using cookie cutters or freehand with a butter knife. Leave a small whole for string at the top. Bake until lightly browned or allow to air dry on a rack for 48 hours, then decorate however you like with paints and glitter. Grasshoppers and other chewing insects can be deterred by lightly dusting your plants with flour. Note: Only use all-purpose kinds of flour for this, as self-rising flours contain salt and can harm your plants. If the flour is past it's expiration date but not completely rancid, bake your pet some treats. There are numerous recipes online. See Resources for a couple of good sites to get you started. Flour can be added to your compost. Just be sure to mix up the compost as you add the flour, as adding it all at once in one big layer will block the pile's important air flow. 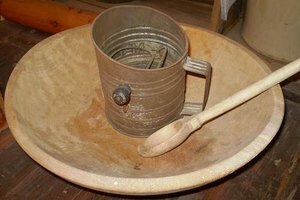 Homesteading Today Forum; Old Flour — What to Do? 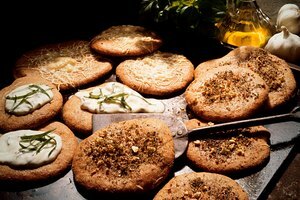 Which Type of Bread Is Yeast Free?